I had the opportunity of seeing Iron Man 3 this past Thursday night and felt a little deflated after the film. 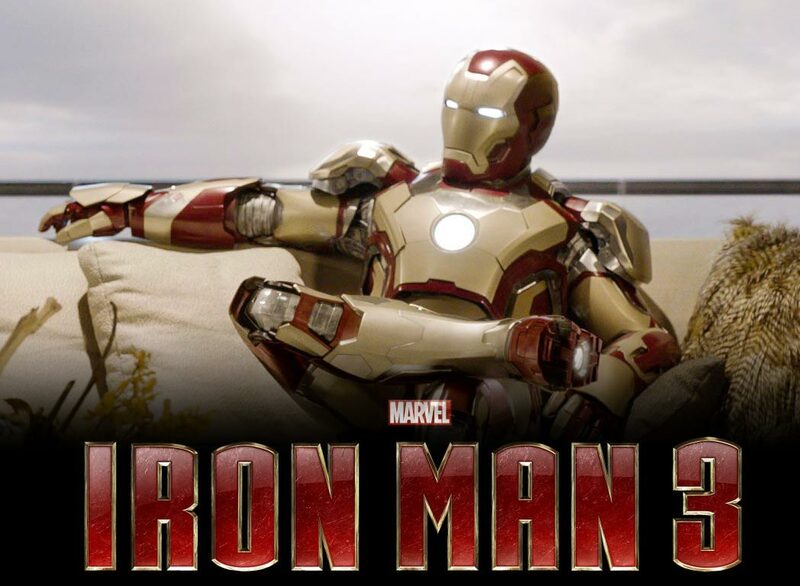 “Iron Man 3” , directed by Shane Black, stars Robert Downey Jr as Tony Stark and reveals a distraught Tony after the Avengers. He appears to be trying to come to terms with what happened in New York City and trying to maintain some control over his life and protect the ones he loves like his girlfriend Pepper Potts, played by Gwyneth Paltrow, and his recently fired body-guard Happy Hogan, played by Jon Favreau. While trying to maintain some semblance of control over his life, Happy becomes involved in an incident that the Mandarin, a terrorist played by Ben Kinglsey, claims responsibility for. Given the ego of Tony Stark, he will not let Happy’s injuries occur in vain, and begins investigating with the help of James Rhodes, played by Don Cheadle, who the Mandarin is and where he can find him. This movie was meh. I say that because given the overseas release numbers, I was expecting a phenomenal movie. It was funny. I will give Black the credit for that one. I felt like he allowed RDJ to ad lib a lot of his script because some of it was so hilarious and genuinely funny. My laughs definitely were not forced. I thought the presentation of PTSD in Stark was great because it showed that even heroes experience trauma. But I felt like there wasn’t enough follow through with this. Black didn’t flush this out enough and I felt like he should have either delved into this aspect more or left it out completely. The problems I had with this movie, I can’t describe in full detail without spoiling it. Suffice it to say, Black takes a lot of liberties with the Iron Man storyline and changes a lot of things. He left some things out, manipulated some other things, and where he could have done more, he did not. I was fairly disappointed with this film but if you love RDJ as Iron Man, you won’t be disappointed. If you love the Iron Man comic books, you probably will be. So one thing that I noticed a day after thinking about this movie was it was never revealed as to what the soldier had been given before exploding. It seemed like those items in the briefcase were linked to the explosion but it appeared later that these explosions were just accidental and were caused by individuals who couldn’t “regulate” themselves. What was in the briefcase? I did not like the twist only for the fact that there wasn’t another twist as well. What I would have preferred is that after credits, the audience would have seen the Mandarin in jail and glimpse an evil more sinister side of him. Like he was really running the show all along. I don’t know if that would have played out, but I would have preferred it to Guy Pearce crying, “I’m the Mandarin” and then dying. It reminded me of Venom’s death in Spiderman 3. I saw Venom as Spiderman’s nemesis and when he was killed, I felt like I was robbed of something. When the twist was revealed in this film, I felt the same way. I also did not like Tony Stark removing his center pierce. I did not like that at all because it felt like he was Iron man no more, as if he was retiring. Even when Batman retired in The Dark Knight Rises, there was a glimpse as to who his protegé would be. I also thought blowing up every single suit after just revealing all of them was a waste. It just seemed not well conceived, like, here are ll these great suits, look at what they can do, and now they are all exploding simultaneously. That bothered me a lot. So, yes, the problems I have with this film are really nit picky and I will own up to that. I may be a bit too hard on this film because it was so built up but I guess there’s not a lot I can do about that, other then acknowleding it.